While enjoying holiday traditions with friends and family, sudden news from Iris and Eddie startles Barry. 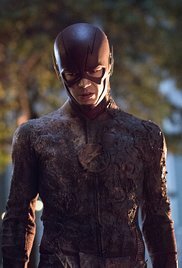 Also, another visit from Barry's arch nemesis (the man who murdered his mother) has everyone starting to realize who they're up against. 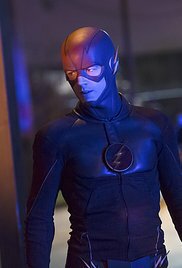 While much is learned about The Man in the Yellow Suit, a former Star Labs employee also appears, one well-known to the group of friends. 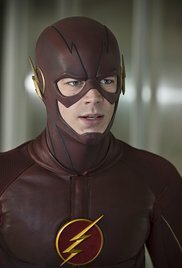 Barry Allen is training his speed to beat the Reverse-Flash to get back the title Fastest Man Alive. Iris is moving in to Eddie's and Barry helps with the move. Iris now knowing about Barry's feelings for her, the friends are in awkward situations. 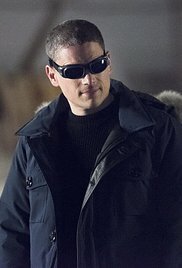 Captain Cold is back with the cold gun and his old pal Heat Wave and put a plan in motion to kill The Flash and make him reveal to the world that he is real. Barry faces Shawna Baez/Peek-a-Boo, who can teleport. Hartley shows what happened to Ronnie on the day of the explosion and gets away. Dr. 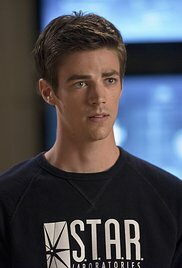 Snow gets drunk at a karaoke bar, she finds out that Barry could sing and he meets a girl named Linda Park who works at the same place as Iris. 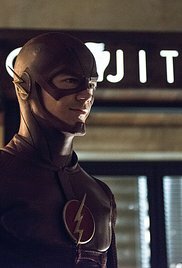 The Flash and Iris talk again in an alley. Barry's friends fear his moving too fast in his relationship with Linda. 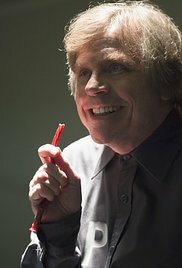 Joe, having pulled Cisco into his new investigation of Nora Allen's murder, gets a call saying that the blood on the wall at Barry's house is Barry's own yet not kid's blood. 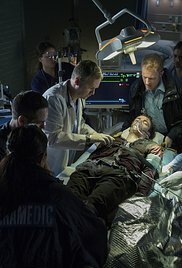 Meanwhile, Dr. Wells and Caitlin find Ronnie under the possession of missing scientist Dr. Martin Stein. Tests reveal that, under stress from this duality, Ronnie's body will go nuclear unless he's put down or a way is found to safely split them apart in under two hours. After the nuclear explosion, General Wade Eiling sets out to capture Ronnie and Martin Stein. 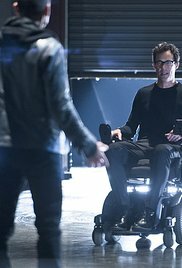 Joe shows Barry the 3D imagery of what happened the night his mother died - a struggle between Barry and Reverse-Flash at superspeed. When Joe later asks if it's possible for time travel with speed, Harrison says it is. 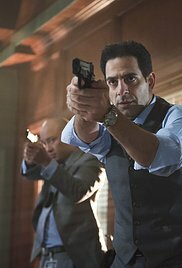 Mark Mardon, brother of Clyde Mardon, kills the city's coroner with one goal in mind: to get the name of Joe West, the man who killed his brother. 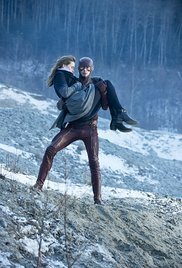 Receiving word and breaking his impromptu double-date with Linda, Iris and Eddie (where Iris and Barry's close behavior equally disturbs their dates), Barry freakishly sees himself running beside him en route to the crime scene at superspeed. Joe, knowing the impossibility of protection against meta-humans, works the case but is captured and used to lure Iris to the beach. 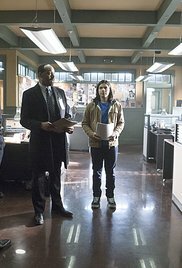 Meanwhile, as Police Captain Singh winds up hospitalize in trying to protect Joe, Cisco pays dearly for pursuing his suspicions against Harrison. 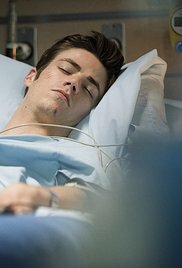 Back at the beach, Iris finally learns the identity of The Flash as Barry tries to thwart Mark's tsunami, hurtling toward the city, and winds up meeting himself en route to the coroner's office instead. 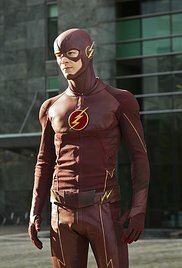 A copy-cat-killer who goes by the name The Trickster starts setting off bombs in Central City. 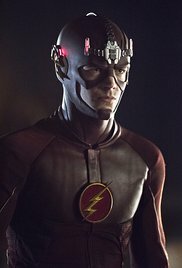 In order to stop the villain, Barry and Joe meet with the original Trickster, a criminal mastermind named James Jesse, who has been imprisoned for twenty years. 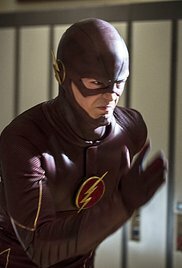 Things quickly go from bad to worse when the Tricksters unite and take Henry Allen prisoner. 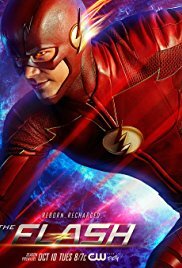 Meanwhile, Iris asks Eddie to investigate a missing person, and flashbacks show how Harrison Wells came up with the name for S.T.A.R. Labs. 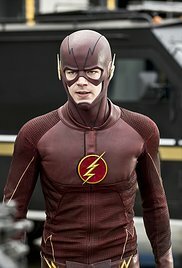 Barry must deal with Reverse Flash's latest threat to a member of the group. 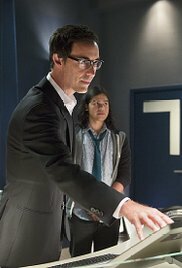 To make matters worse, Dr. Wells unleashes Grodd on the city to distract Barry and the team. 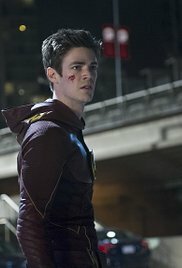 Joe, Barry, and Cisco head down into the sewers to catch Grodd. 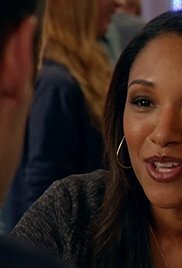 Barry and Iris have a heart to heart talk.